Made in USA adhesives that our years of experience have proven work great in industrial settings. 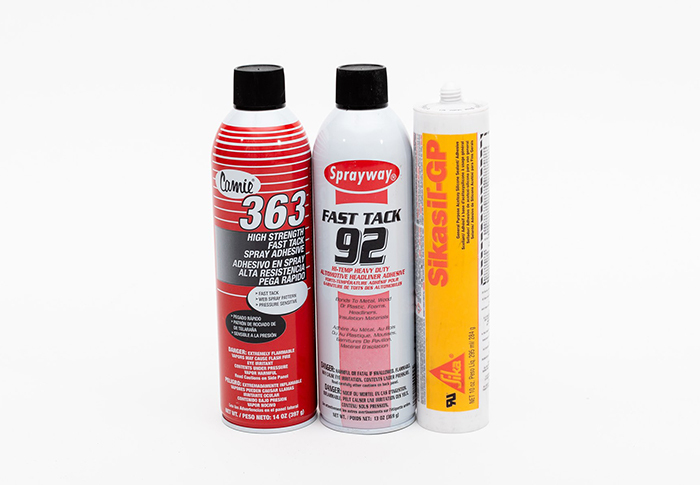 A go-to fast tack, fast grab, low soak-in spray. Frey lock for cut and sew. 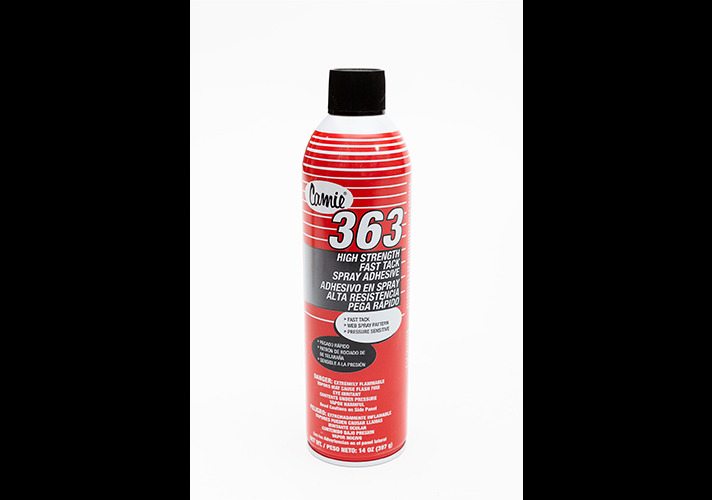 Great for bonding paper, cardboard, fabrics, urethane foam, foils, carpets, metal wood, concrete and most plastics. A very high tack adhesive for difficult open-weave and non-woven textiles. 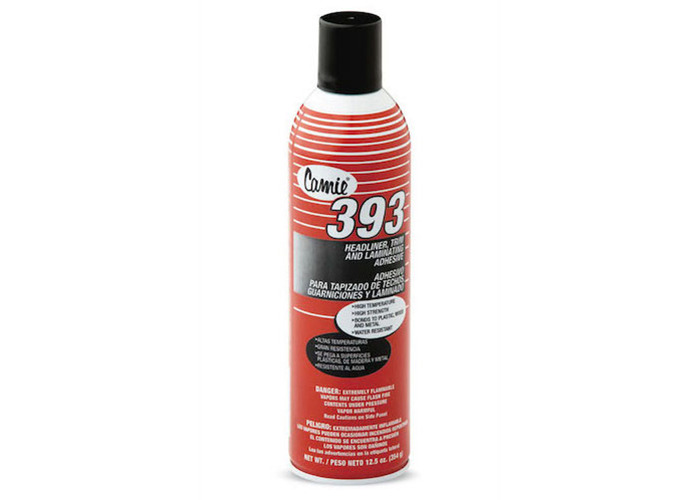 Headliners, trim, and challenging laminations are often solved with 393. Apply to both sides for best results. 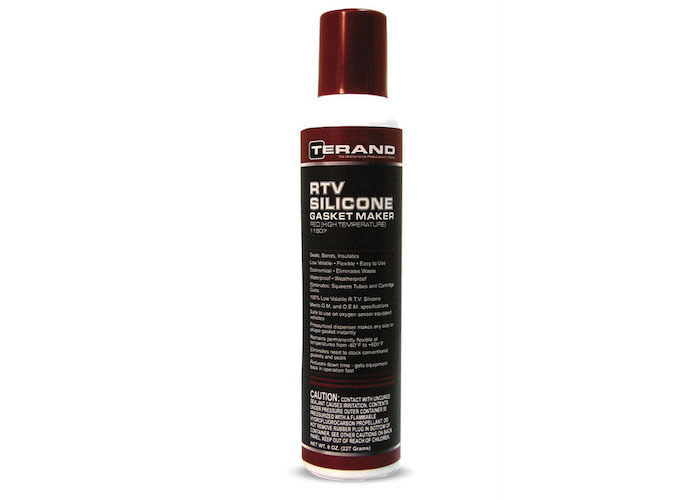 A contact adhesive, aggressive for heavyweight textiles, vinyls, and non-woven..
A red, RTV adhesive with superior bond strength. "Cheese Whiz can with a dispenser tip!"